I have found almost no mentions of this new feature online (most reviews focus on the "bigger" features), so I thought I'd explore it a little bit. Warning: Unless you spend your days in conference calls (like me), you will probably be bored to tears by this. You've been warned. First, a note about how I use my iPhone in this respect. I have a number of conference calls that I dial often. For these, I have created contacts that include the number to dial, followed by a long-enough pause (inserted through trial-and-error) and then any codes that have to be entered. For example, one such entry might look like this: "018001234567,,,987654#". This gives already single-tap dialing of conference calls. This works for more complex cases. For example, for my own audioconference line, I need to dial the conference code, my moderator code, and a few other things. 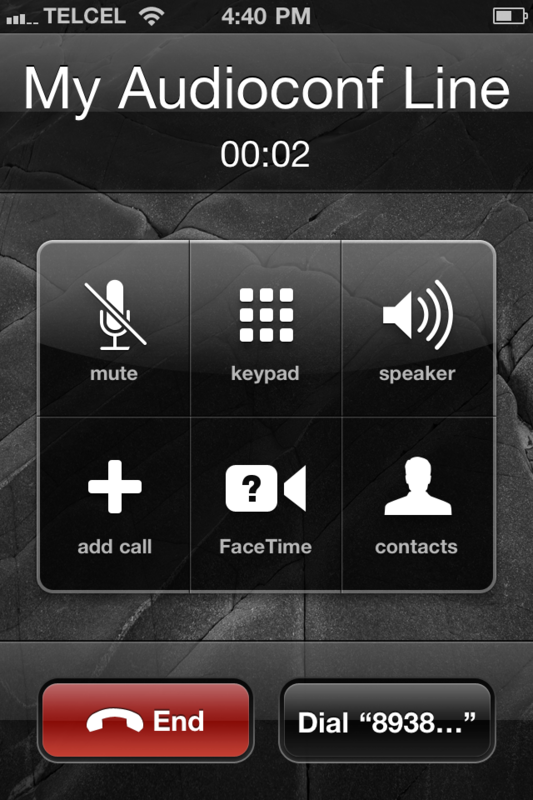 This entry looks something like this: "0018001234567,,89786756#,,*,,122334#,1". This is very handy and it does everything except for speaking my name at the appropriate point in the sequence (it would be great if I could record it and play it back automatically at the correct moment). So, is this useful? For me, for frequently-dialed conference lines, I prefer my current method, since I don't need any manual intervention. 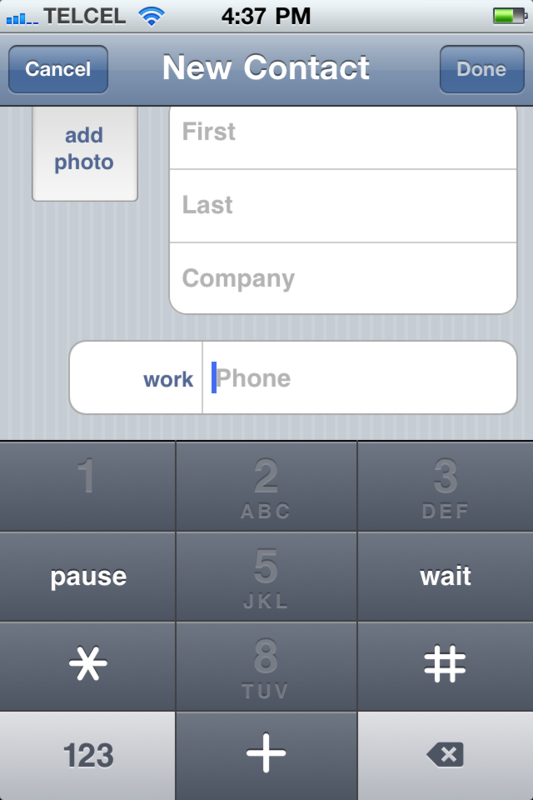 However, I think this new feature can be useful to include extension numbers in contacts. This is something I had never figured how to do, and now I can include the extension number in the same contact following a wait. Sadly, this new feature does nothing to make phone numbers included in meeting invitation clickable, so they could be dialed automatically. This would indeed be a welcome addition.